Are Dental Implants Compatible With My Body? Dental implants are made from material which is extremely safe and compatible with our bodies. Most dental implants are made from a titanium alloy. Titanium is super compatible with our bodies, does not cause rejection or allergic reactions, plus titanium is very sturdy and lightweight. These characteristics make titanium an excellent choice for dental implants. In fact, hip and knee replacement implants are also made from a similar titanium alloy and in many cases by the same manufacturers. There are other materials used for dental implants, such as Zirconium or machined metal alloys, which have been proven to be effective and safe as well but are not as commonly used as titanium. To learn more about what dental implants are and their capabilities, click here. Are There Any Risks in Receiving Dental Implants? Dental implants are extremely safe when placed correctly into your jawbone. There is absolutely no risk with a well-placed dental implant placed into solid bone structure. However, complications arise when the implant is not placed correctly. For instance, if an implant is not placed deep enough, it won’t have enough supporting bone and fails. Similarly, if an implant is incorrectly placed outside your jawbone it will fail as well. Luckily, both scenarios can easily be fixed with a bone graft and just take a bit longer to complete treatment. The more serious complications occur when dental implants invade critical biological structures, which are your sinuses and nerves. This is typically the case with implants which are placed in the back region. For example, if an implant in the lower back region is placed too deep, it can intrude on your inferior alveolar nerve and cause temporary or even permanent numbness. Upper back implants can cause problems when the implant is placed into the sinus membrane which may lead to sinus infection. So how does your dentist make sure that your dental implant is placed in the right region to make sure it succeeds? By taking appropriate diagnostic X-rays prior to placing dental implants. A pre-operative CBCT 3-D image shows your dentist exactly where your anatomical structures are located. If there is enough room, your dentist can proceed to place the dental implants with no concerns or worries. On the other hand, if the nerve or sinus is too superficial, then appropriate bone augmentation treatment will be required in advance of implant placement. This includes surgeries such as bone graft, sinus lift and sinus graft and you can click here to learn more about them. Keep in mind that while these surgeries are expensive and prolong treatment times, it would be unwise to proceed without performing them whenever required. I always tell my patient, if you're healthy enough to pull a tooth then you're healthy enough for a dental implant. Indeed, tooth extraction is much riskier and more invasive than dental implants are. When pulling a tooth, you need to worry about feeling pain, excessive bleeding, infection, swelling, etc. Dental implants don’t really cause pain, don’t become infected and are quite safe to perform. There’s only a handful of medical conditions, such as certain bone diseases and cancers, which may prohibit you from getting dental implants, but the majority of population are a good candidate for them. Age is not a factor we consider when treatment planning dental implants. Look, you need teeth to chew with, it doesn’t matter if you’re 18 or 81! In fact, majority of patients who receive dental implants are elderly who’ve lost their teeth and now need a replacement option. Now how about all those medical issues that come with age? Arthritis does not really affect jawbone much either so patients with arthritis are typically excellent candidates as well. If you have diabetes, high blood pressure, high cholesterol, low thyroid levels but are taking medications and keeping your condition under control, you are also good to go. If you’ve had a recent stroke, join replacement, heat attack or cancer treatment, you should talk to your physician for a clearance before receiving dental implants. Keep in mind that many patients receiving dental implants have a long list of medications and medical issues. Find yourself a skilled implant dentist who will review your treatment plan carefully and takes the necessary precautions, and you’ll do just fine! Dental implants that are properly placed in solid bone structure have a 98 to 99% success rate. On the other hand, an implant placed outside the bone, into the sinus or in an infected region, has a 98 to 99% failure rate. 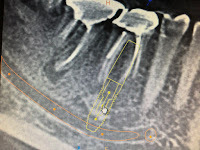 As you can see, the success of a dental implant has much more to do with the clinician and accuracy of the surgery than it does with anything else. I know that getting your first dental implant can be intimidating, but I promise you that it’s easier than you think. Dental implants have been around for several decades and the newer implants are very easy to place and have extremely good success rates. Find yourself a skilled, experienced dental implant specialist, carefully review your treatment plan with him or her, and let your dentist take care of the rest. If you feel your dentist is not too confident in his or her treatment plan, you might want to request a second opinion. 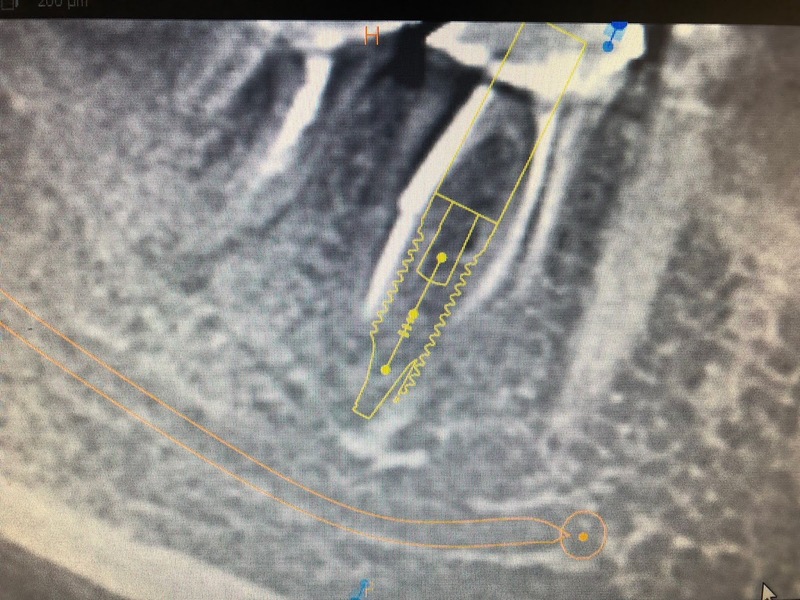 After all, the difference between 98 to 99% success rate versus failure rate comes down to the accuracy of implant placement and you certainly want to make sure you belong in the first category and not the second one! If you live in Southern California and would like to schedule your implant consultation with me or if you want me to answer any other questions on dental implants, click here to contact me.